We are committed to producing and distributing poultry and food products that exceed our customers' expectations for quality and food safety. We do so while respecting our employees, business partners, and environment. 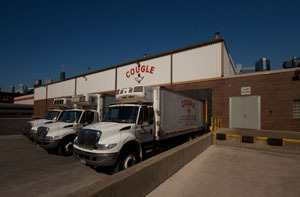 Established in 1873, Cougle Commission Company is one of Chicago's largest family-based poultry further processors. We process and distribute only the finest quality poultry products for customers throughout the greater Chicagoland area and the Midwest. With the ability to react quickly and the willingness to respond to changing customer needs, we continuously provide our customers with premium products cut to their exact specifications. At Cougle Commission Company, we specialize in providing our customers with custom-cut poultry in large or small quantities. From antibiotic-free and organic chicken to more traditionally-raised products, we aim to source our customers' poultry needs as quickly and as cost-effectively as possible. Once the product has been sourced, we then process the poultry further at our modern USDA-inspected plant, which has earned the Silliker Award for food safety and quality systems each of the last six years. With the order ready, we then have the ability to deliver the product directly to our customers through our vast distribution network, or the customer can pick up the order at our conveniently located facility in the West Loop of Chicago. Survival seems to be the name of the game this year. The current owners of hotels, restaurants, food processors, and even our own suppliers are all looking for help. They expect added value at lower cost and just-in-time service with extended terms. Fulfilling these dreams requires a renewed commitment and a sense of urgency. We have to be all the more diligent in our work, but this does not mean that we must resort to cutting corners and sacrificing our integrity. It does mean that we, the suppliers, customers and employees, are in this together and that we really must be partners with mutually respected goals. Giving 100% and demanding 100% should be the new norm. Our families, companies, industries and communities cannot only survive, but be all that much stronger in the days ahead. Cougle Commission Company and its representatives are involved in a variety of industry associations, both at the local and national levels. Chicago/Midwest Meat Association (CMMA): The purpose of the CMMA is to promote the common interest of meat packers, processors and wholesalers in the greater Chicagoland area and the Midwest in general. Lee Freidheim has served both as a Board member and as CMMA's President in the past. 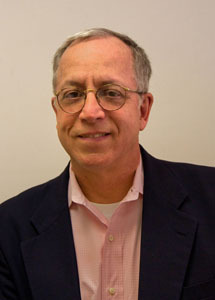 Currently, Ed Freidheim is a member of the Board of Directors. North American Meat Institute (NAMI): NAMI is a national trade association that represents companies that process the vast majority of meat, chicken, and other proteins in the U.S. and their suppliers throughout America. National Poultry and Food Distributors Association (NPFDA): NPFDA's mission is to promote the poultry and food distributors, processors and allied industries by bringing them together and providing a forum to foster long-term business relationships. Cougle has been a member of NPFDA since the 1990s. Randolph/Fulton Market Association (RFMA): The RFMA is a community-based economic development agency that serves the historic Randolph/Fulton Market and greater Near Westside of Chicago. Its mission is to promote the development, establishment and expansion of industrial firms and other businesses in the area. Alison Freidheim is currently a member of the RFMA's Executive Board.